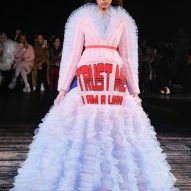 Viktor & Rolf's Spring Summer 2019 couture Fashion Statements collection demonstrates the "expressive power of clothing"
Dutch fashion house ￼Viktor & Rolf aimed to show the "expressive power of clothing" in its latest haute couture show, which featured romantic-style dresses with kitsch slogans. 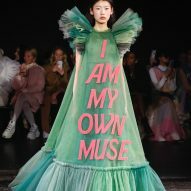 The designers used five miles of tulle to make its Fashion Statements collection, shown as part of the haute couture schedule in Paris last week. 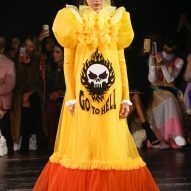 Each of the 18 dresses, which featured oversized silhouettes, transparent ruffles and puffed sleeves, were emblazoned with meme-inspired slogans like "Sorry I'm late, I didn't want to come" and "No photos please". According to the designers, the statements are meant to reference the kind of language used on social media or souvenir T-shirts. They don't have a particular meaning, instead inviting onlookers to come to their own conclusions. 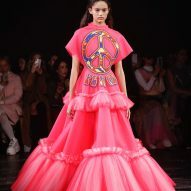 "All these statements that are so obvious or easy — there's a lot of banality on Instagram and social media in general — are counterbalanced with this over-the-top, shimmery, romantic feeling," Rolf Snoeren told WWD. 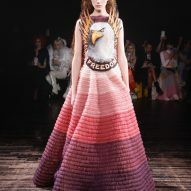 "The juxtaposition of these seemingly unrelated elements results in a typical Viktor & Rolf expression of surreal beauty," said the designers. 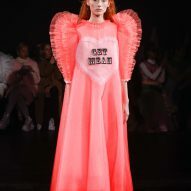 The collection's confectionary colour palette ranged from pastel pinks to neon greens and striking violets, while the silhouettes spanned A-lines to more fitted hourglass shapes. 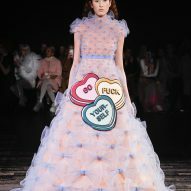 Each slogan is made of layers of laser-cut tulle that has been hand-sewn onto the garments. One look featured an enormous A-line silhouette made of white tulle. Embroidered onto the front was the phrase, "I'm not shy I just don't like you" in all-caps. 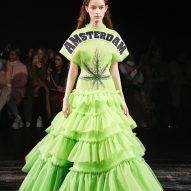 Another look was an oversized white tulle silhouette with a lime-green hem and tiered, puffed sleeves. The words "Give a damn" were written in a retro-futurist typeface across its front. 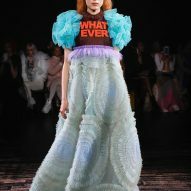 A highlight of the show was a triangular blue ruffled dress with the word "No" written in red capital letters. The same lettering was used in the brand's Fall 2008 ready-to-wear collection, where the word was crafted into the silhouette of a jacket. 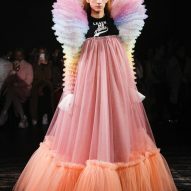 Viktor & Rolf is no stranger to the avant-garde side of couture. In 2016, the fashion duo constructed sculptural white garments to resemble Cubist facial features. 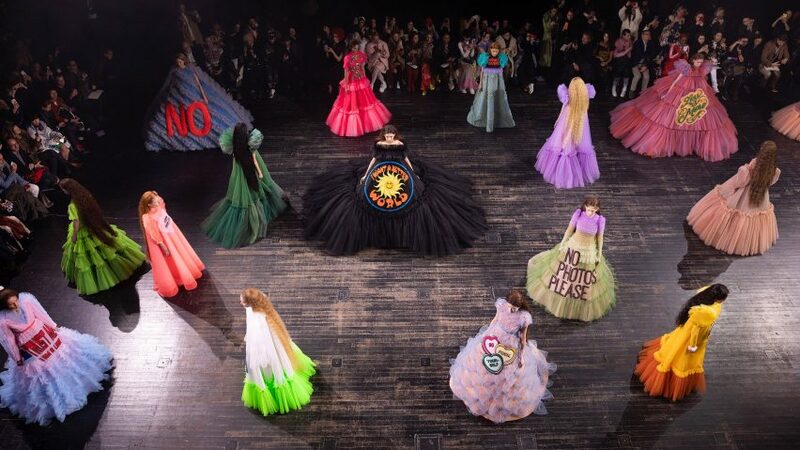 The previous year, they transformed broken picture frames filled with fabric into haute-couture gowns.